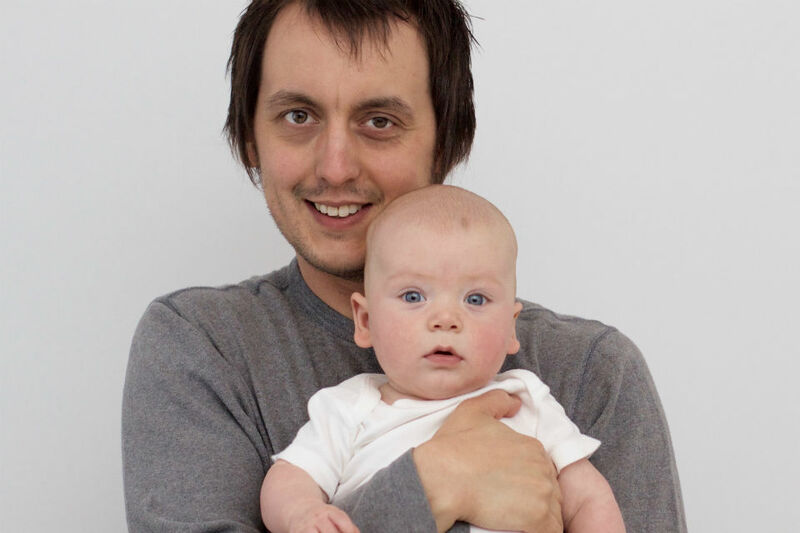 I've just returned to work at MOJ Digital after three months looking after my newborn son. I was able to take this time because of a new policy - Shared Parental Leave. Being able to spend these first months of his life with him was amazing, and I'd highly recommend Shared Parental Leave (SPL) to any expectant couples. SPL was introduced in April last year. It allows parents to share maternity or adoption leave between them (and soon, it will be extended to allow sharing with grandparents). Sir Jeremy Heywood intends SPL to help the Civil Service become one of the most female-friendly employers in the country and make childcare a parental issue rather than one just for women. With maternity leave, new mothers are entitled to 52 weeks of leave. For up to 39 weeks, they are entitled to statutory maternity pay. Many employers pay enhanced maternity pay, with some (including the Civil Service) offering 26 weeks or more at full pay. Under SPL, mothers are still required to take two weeks' maternity leave after the birth, but the remainder can then be used as SPL. The parents can share their leave however they choose, in up to three blocks each. They can also share the salary entitlement, choosing who receives pay when. Our first child was born this January and we decided to share all our leave equally. My partner took two weeks' maternity leave, I took two weeks' paternity leave, and we are each taking 25 weeks' SPL. We heard that the first three months with a new baby were the hardest, so decided to take three months together directly after our son's birth. I then returned to work for three months while my partner looks after him alone. In mid-July, when he is six months old, my partner will go back to work and I will take a further three months off to be the stay-at-home parent. For the last three months, my partner and I looked after and got to know our son together. The first few months are an amazing time and I feel very lucky to have had the pleasure of seeing my son change day by day. The turbulent early weeks were less stressful than we anticipated because neither of us had to be up for work in the morning and could share the load during the night. Being home for an extended period meant I was able to take care of my partner while she recovered from the birth, freeing her from the day-to-day things (like cooking for herself) that might be more difficult under the pressure of looking after our son on her own. I've been able to do everything for him (even feeding him when my partner expresses milk), meaning I'm just as competent at caring for him as she is. Because we have equal experience looking after him, each of us is confident we can leave him with the other without worry or stress. SPL is relatively new, so taking advantage of it was difficult at times. The paperwork can be cumbersome and sometimes doesn't fit with the actual policy. For example, taking time off at the same time as my partner, directly after paternity leave, wasn’t handled by the software our HR department use, making it harder to arrange. Since coming back to work, I’ve been working with HR to be sure others don’t have this sort of problem. It’s also not yet very common, though more people are taking it up (the recently reported figures stating that only 1% of men have taken it are, in fact, wrong - they refer to all men of working age, not new fathers), so HR departments should be better-equipped to deal with it in future. I’m fortunate that my manager has been incredibly supportive. Even so, returning to work has been hard. It feels like I'm starting again, at a new job, yet where all the faces are familiar. I'm sure many women returning from maternity leave feel this way, but it isn't something I've experienced before. I'm back at work for three months now, and then have three months being the primary carer for my son. For my next block of leave, I'm nervous about being the only dad at activities: there are lots of mum-and-baby groups out there, but dads’ groups are still relatively rare. I've already experienced nursery and health professionals talking only to my partner, even when I was holding the baby. Stay-at-home dads and SPL are helping to reduce this kind of ‘gendering’ of parenting. Hopefully, it'll soon be a thing of the past! It's been wonderful to spend this time with my son, and I'd strongly recommend expectant parents to consider taking Shared Parental Leave and benefiting in the way we have. More people are eligible for SPL than you might expect. You can check if you are eligible on GOV.UK. Great, very informative. I've passed this onto a colleague who has been trying to organise shared parental leave, our HR has not encountered this before so the links are very useful. Thanks for blogging about this Steve, it's so helpful to have real life examples of dads who have taken advantage of SPL. I'm a civil servant currently on maternity leave with an 11 week old daughter and will be sharing responsibility for caring for her with my partner from July, though not via SPL (worked out better for him to go part time instead). One thing I've set myself a goal to do during my year on mat leave is keep in touch with the world of work little and often via Twitter and blogs. It's one of the many benefits of greater openness and online presence of the civil service; it means people like me and you have the option of staying up to date with major developments even though we're away from the office, which I'm choosing to do in the hope it will soften the blow of returning to work next year and experiencing the feeling of starting all over again that you have described. Plus I'm interested in what's going on anyway! Please blog again about your 3 months on SPL - and congratulations on your son! Having just got back from maternity leave, I think it is great that men are getting the opportunity to share the childcare in the early months. I personally know several couples who have done this. It is also good to hear Steve talk about some of the issues around coming back after looking after being off looking after a child. From my experience there can be challenges - but the less that is seen as a 'woman's issue' the better. The overall approach to shared parental leave shows the civil service at its best. Congratulations on the birth of your son and thanks for writing about what sounds like a really positive experience. It would be great though if the entitlement for shared parental leave wasn't based on maternity leave though, but on a truly sharable concept of parental leave. As an example, my wife is about to give birth but because she doesn't work, I'm only entitled to have a couple of weeks' paternity leave as she has no maternity leave to share. It would be great to be able to spend three months raising our child together as you did. Good luck with being the primary carer in three months' time! Excellent blog Steve. I've also just returned to work having taken SPL, and you are correct in how good in feels to share the responsibility of caring for your child and learning how to do things together. My story is slightly different though, I was able to use SPL to support the transition of our adopted daughter into our lives. I was eligible for paternity leave just like a natural father and also SPL. The Civil Service has got this spot on, extending these opportunities to me as and adoptive father was more than I had hoped for. I'm hoping that by sharing this we (or the administrators of this blog) can also highlight that SPL is also available for people who are looking to adopt. Steve, I took 6 months extended paternity leave for the birth of my daughter in 2013. I'm very grateful for the civil service policy on both leave and maternity/paternity responsibilities. The experience has meant that our daughter is now happy in the company of either parent, leaving one or other of us free to pop out and carry on with life as needs be. Its also brought me closer to my daughter. I was that lone father in many of the children's groups and it can take some time to be accepted. My approach was to drop the inhibitions, make a bit of an idiot of myself and play with the children. I'd suggest 'Who Let the Dads Out' which is a national scheme run through the C of E. Here fathers can come with their children for 90-120 minutes of playtime one/twice a month. In my local session there must be 40-50 fathers meeting regularly. Some run for free and my local group costs £2.50. Its great one to one time for fathers and group play time for the children. You get coffee and bacon rolls and a chance to get some tips from other fathers. Fantastic job on sharing your experience! I hope that others, including managers, can read about your experience and can learn to be more empathetic with 'returning parents'. What a lucky little boy to have had s much quality time with both parents!! I took 3 months off with eachj of my 2 boys, and thoroughly enjoyed it. But yes Dad's taking sole care of the wee nippers are a rarity indeed, I go to a local "Who let the Dads out" group (though I really dislike the implicit sexism in the name suggesting Dads are let out and could get up the craziness with the children) it is nice to see other dads with their kids. But during the week expect to be the only Dad at groups and weighing clinics, and for people to make sweeping statements about how real men go to work, or how the children must be missing their mum ( no-one asked my wife if the boys were missing their dad in the 13 months of leave she had betweent he two of them). And don't get me started on the group where all the mums gleefully joined in with a song about how useless men were, I was furious, its not exactly progressive. But you will have a whale of a time ! Excellent blog Steve and thanks for sharing your experience. I am currently almost one month into a three month SPL block following which I am taking a further four weeks annual leave. I work for the Department for Culture Media & Sport who have been an incredibly supportive employer as has my manager and wider colleagues. DCMS is also also lucky enough to have Sue Owen leading us (Civil Service Diversity & Inclusion Champion). Agree with everything you say about how important it is to children and parents to both take an equal share of childcare. We have definitely noticed the benefits. My Wife has been really supportive and took the first seven months off maternity leave. She was heartbroken when she returned to work, suffering from separation anxiety, and this was a deeply emotional and testing first few weeks back at work but we made it and she is getting stronger with each week. It is sad to hear about some of the experiences of other fathers at baby groups. My experience has been somewhat different and I simply picked up where my Wife left off and, although I have been the only Dad, this has never been an issue to either me or the mums. They made me and my Daughter very welcome. I recommend getting to a few groups if you can - please don't hesitate to contact me if I can be of any help or assistance on this. In terms of keeping in touch, I am meeting up with my manager once a month for a coffee and catch up and keep my ear to the ground through Social Media, Blogs and checking my Departments Intranet when it is convenient. I still do think, although some progress has been made, the Civil Service could go much further and take a leaf out of Richard Branson's Virgin Group who allow 12 months fully paid SPL to all its staff. Great to hear about positive experiences of dads here, glad that the civil service is leading the way on this. I'm going on maternity leave soon and my husband is very jealous of the civil service's approach to SPL, being self employed he's sadly not eligible for anything - not even for 2 weeks' paternity pay! I had (nearly) three months off too to look after my daughter, Chloe, thanks to Shared Parental Leave. I was very grateful to the Civil Service, my employer VOA, my manager and team for being supportive of me. Chloe is very much happy being around myself and her Mummy. Wonderful that you have this opportunity - I can see all the advantages. I will be going on maternity leave this year but unfortunately my partner's employer (an American company) is less enlightened and sharing parental leave, though legal, just isn't feasible. The reasons are mainly financial but also cultural. But the more that shared parental leave becomes the norm in the UK, the more pressure there is for the dinosaurs to catch up!